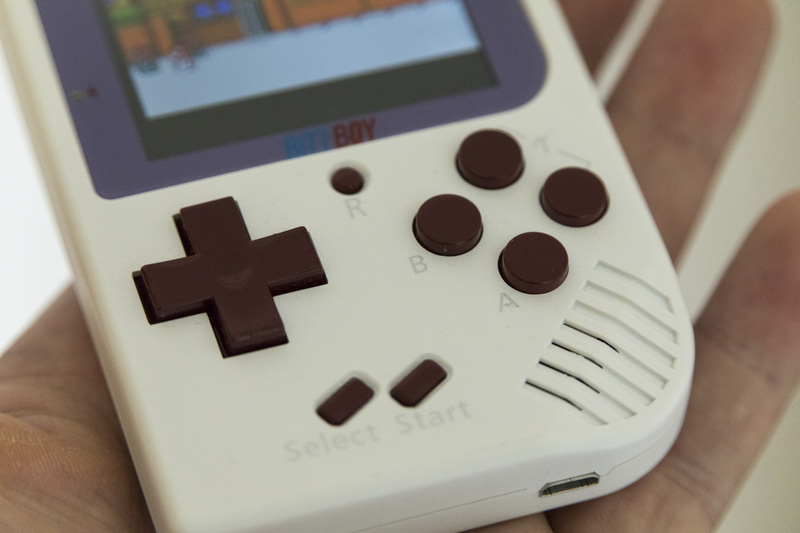 The GameBoy Pocket remains one of the best-designed pieces of mobile gaming kit ever in my opinion, which is why I was intrigued by the BittBoy, a new third-party portable console that clearly owes a lot of inspiration to the GameBoy. The tiny handheld packs a library of “300” games built-in, controls that will feel familiar to any Nintendo fan, a battery you can recharge via microUSB and a 2.2-inch IPS display. First, let’s get to the highlights: This thing is super small. It’s only about 2.5 by 4 inches, and it’ll easily slip into just about any pocket. The battery also appears to last quite a while, even though it’s only 500 mAh; I’ve played for quite a few hours on a single charge without depleting it yet. That screen is also pretty good, especially when compared to the screens of actual retro consoles. There are some issues with colors being rendered weird, but that’s the emulation software, not the display itself, as those color oddities carry over to TV output, too. Speaking of TV output, that’s another strength – it ships with a simple mini stereo to RCA AV out, which can plug into any TV with one of those yellow round video inputs. It works, though the cable is somewhat short and the image flickers a bit if there’s much cable play, but it came in handy when spending time in a hotel and looking for something to do to pass some time. The BittBoy’s biggest strength is its ability to go anywhere while taking up virtually no space in your kit, or adding any weight to your baggage. It’s so light you might actually forget you’re carrying it, as I have on occasion before emptying my pockets. The buttons and case, while not the most luxurious feeling in the world, also seem like they can take a fair amount of abuse before breaking down. BittBoy’s weaknesses are probably in its software library: It offers “300-in-1” games, but you probably aren’t going to want to play most of them. Plus, they’re emulated NES titles, so you have to be okay with that legal gray area. There’s plenty enough there to sustain the attention of retro gaming fans, however – especially at $39.99, the retail price of BittBoy. But if you’re hoping to expand the library with your own software, look elsewhere, since there’s a microSD-looking slot on top but it’s not functional. Bottom line: This is a fun stocking stuffer or add-on gift for the avid retro gamer in your life, and something that you can basically stick in a regularly used backpack as a fun surprise you can re-discover on long commutes or while traveling.